For the first time in its 26-season history, "The Simpsons" will air on the Chinese mainland. Variety is reporting that the award-winning animated series will be carried by Chinese online video giant Sohu, which finalized a deal with 20th Century Fox to bring the Springfield gang to the Middle Kingdom. Sohu's CEO, Charles Zhang, says that adding "The Simpsons" to its content line-up "demonstrates [the company's] commitment in bringing the best experience" to online viewers. The news comes just after "The Simpsons" pulled in strong ratings during its 12-day marathon on Fox's new FXX network. 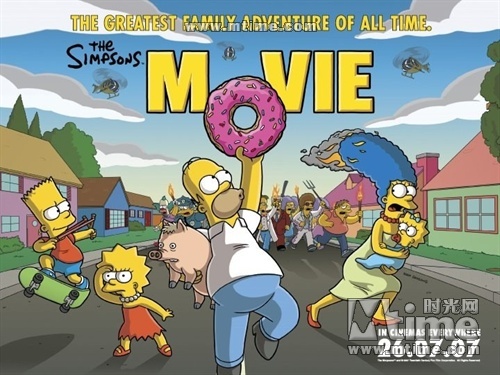 It is still unclear how many of the 500-plus "Simpsons" episodes will be available on Sohu. In light of the new China deal, "The Simpsons" executive producer, Al Jean, says that it can finally be revealed that the show's setting of Springfield is "actually located in Shandong province."